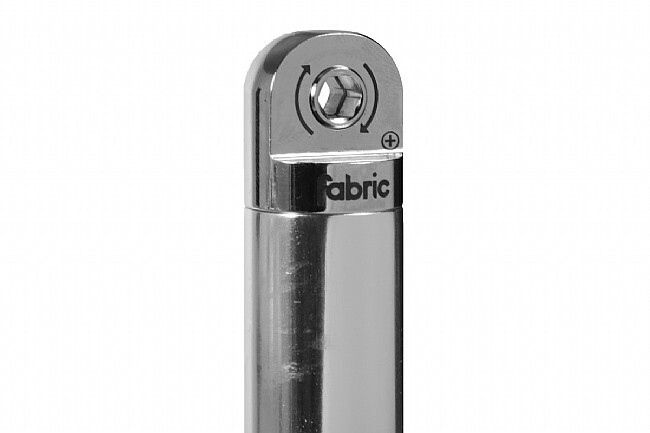 As they're prone to doing, Fabric cleans up the cyclist's kit while adding further functionality with their Fabric Chamber 13-function multi-tool. 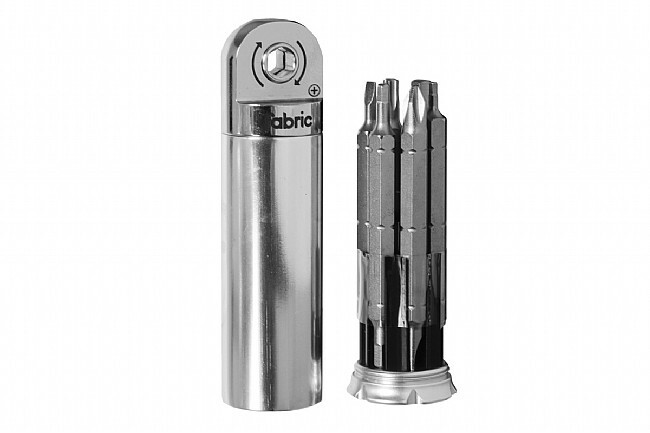 Six long double-ended bits and one 8 mm hex over-bit are housed inside a lightweight alloy cover for amazing portability that won't snag on clothing or puncture inner tubes when stored in a saddle bag. The top of the cover on this ratchet version creates a reversible, ratcheting T-joint with any of the 6 bits for excellent leverage, and 3-different clamp points allow for different length adjustments for those hard to reach areas. Claimed weight is 162 g.